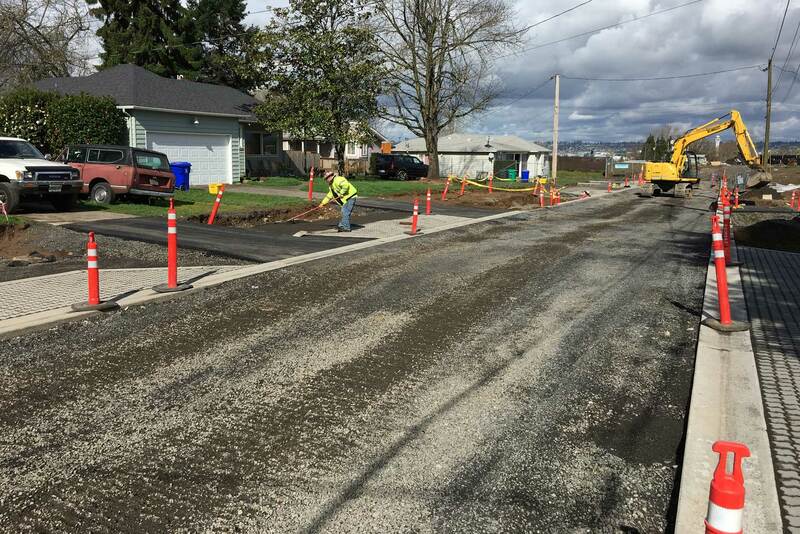 NE 72nd Avenue was one of Cully’s many forgotten streets ‐ an 860 linear feet neighborhood street on crumbling asphalt with no stormwater infrastructure, no curbs, and a shoulder that collects and ponds stormwater. It dead ends at the Community Garden, but it could not provide access to the park because it lacked sidewalks and other features necessary for pedestrian safety. 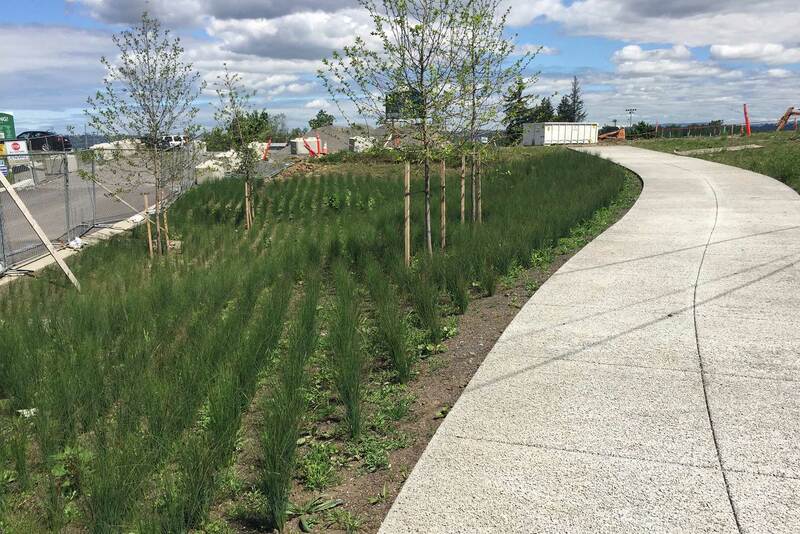 In response, Verde has developed the NE 72nd Greenstreet project. 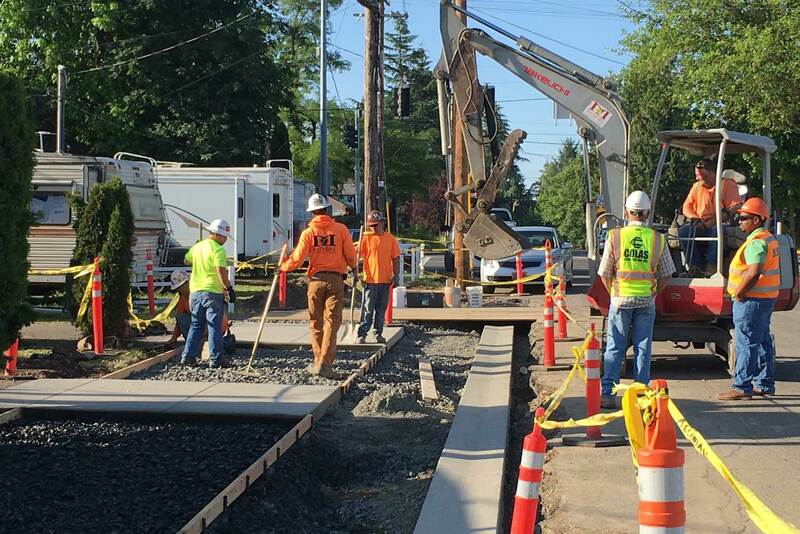 Verde, via its Verde Builds social enterprise, worked with Colas Construction and a diverse set of construction subcontractors to build NE 72nd Greenstreet in 2016‐2017. 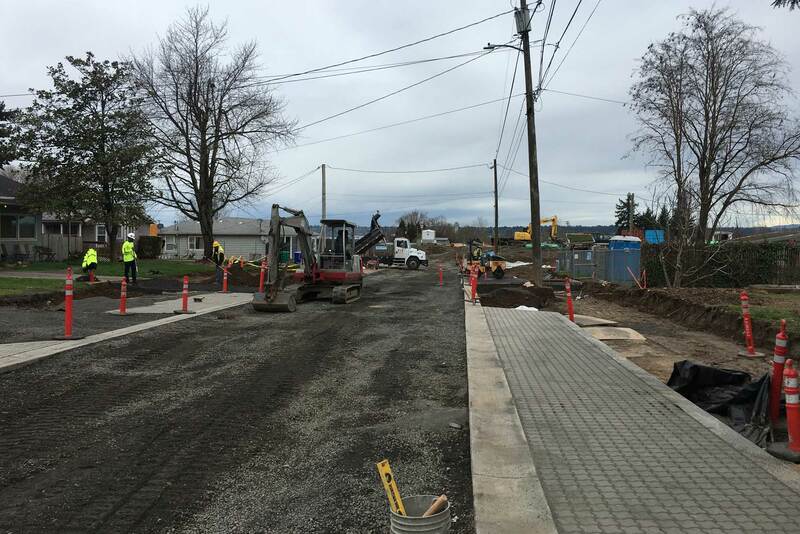 It is the first street construction project to use non‐standard design standards presented in the City’s 2012 Cully Corridor Commercial and Local Street Plan. 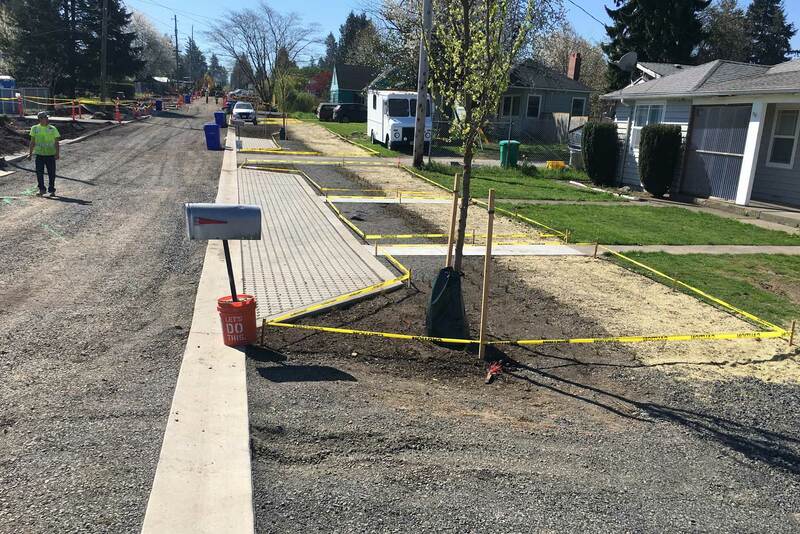 An extra wide sidewalk, incorporating 7000sf of pervious concrete.